2020 -- Same Wonderful Location! Mark Your Calendar for the NEXT SHOW. Dealers with more merchandise than you could ever imagine! Exhibits galore to spark your own creativity! 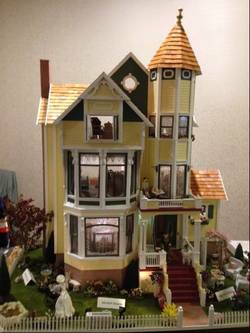 A neighborhood of dollhouses for sale by owners! Holodeck 3D Studios is Back! The List of Exhibits Are Growing! Never been to a Miniature Show? Watch these highlights from Seattle. "I had a wonderful time at the show and wished I could have returned for a second day! I brought my grand-daughter and her cousin with me (both aged 8) and the girls were enthralled. They especially enjoyed the children's class. Kudos to the teacher and her assistants because they did a wonderful job. I heard a lot of very positive comments about the show around the dealer's tables. I was impressed with the quality of the merchandise available and the workmanship of the crafters. The vendors offered a great selection of quality and variety. The exhibits were lovely and exceeded my expectations. The level of expertise and the creative imagination of some miniaturists has no bounds! I live 250 miles from this show so don't get to it as often as I would like, but I hope to repeat again next year." — Joy G.
"I came to the miniature show this year after missing it for several years. I attended because the new location was much easier to get to and the free parking. Downtown Seattle is just too much for me to deal with as I get older. I mainly collect antique miniatures and it would be great if there was a dealer with more antiques. Great job!" — Karen G.
Not been to a miniature show in a while, or maybe never? 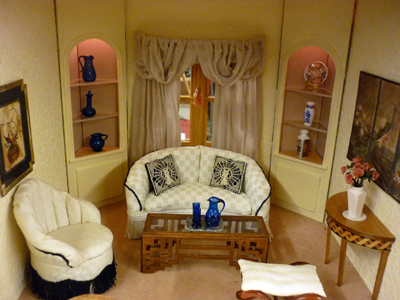 Dollhouses, room boxes, vignettes and their miniature contents are completely different from those in the 1950s, 60s or 70s. Today, they are works of art you shouldn't miss! Absolutely EVERYTHING that exists in full-scale, real life is now available in smaller scales such as 1" = 1 foot or ½" = 1 foot or 1/4" = 1 foot. 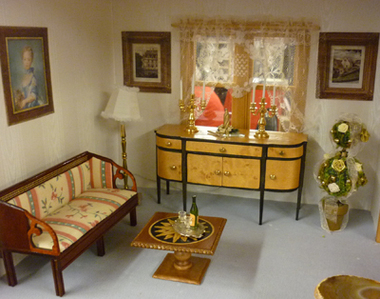 Whether it is a hand-crafted or commercially produced accessory for a dollhouse, you’ll find it at this show. Come talk to the friendly dealers, sign up for a workshop, or attend a how-to demonstration. SEE YOU THERE! 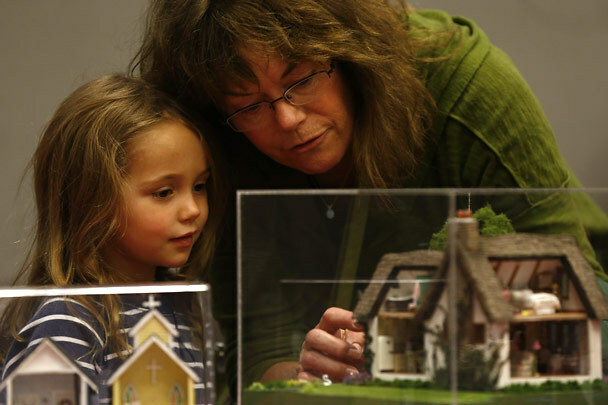 Why Attend the Seattle Miniature Show? Don’t have a dollhouse, room box or vignette yet but are interested in the possibilities? Don’t have a dollhouse and don’t want one? Come and see the many, many completed exhibits. Bring your camera. Vote for your favorites. Do you consider yourself a patron of the arts? You won’t want to miss THIS show. Miniatures is an art form these days. Are you a parent or grandparent trying to wean a young person from their videos? Bring those children with you! Miniaturists love to share what they know. You’re sure to find something you can’t live without! Pat's introduction to dollhouse miniatures was at a garage sale 25+ years ago when she took a "free" dealer catalog from a box at the end of the driveway. The rest is history. 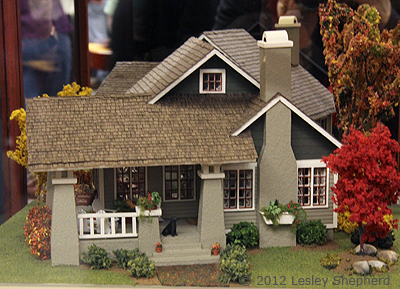 In 2006, she purchased the Portland Miniature Show and in December 2012 she purchased the Seattle Miniature Show. Pat's motto is "Happiness is... Miniatures." Email Pat at PatBennett@SeattleMiniatureShow.com or call 503-362-6012 nights and weekends.